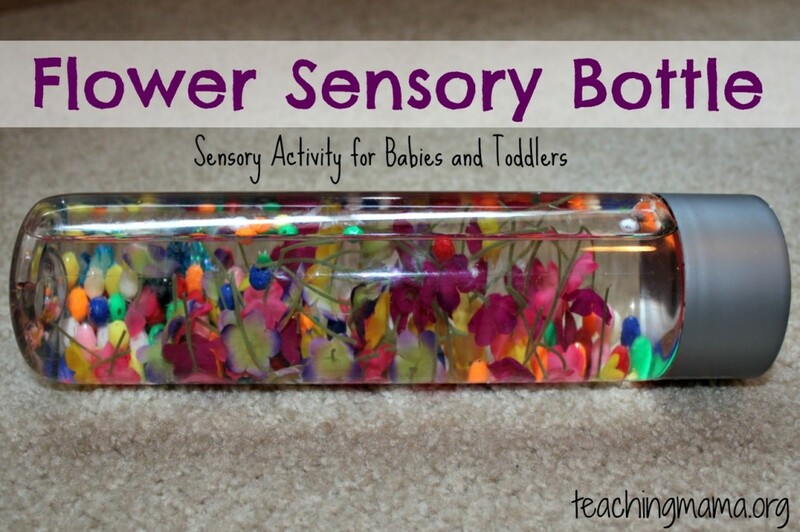 Today I’m sharing an easy sensory activity designed for babies and toddlers. 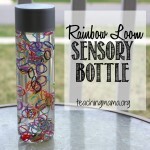 A sensory bottle is a water bottle filled with materials that create a unique sensory experience for babies and toddlers. 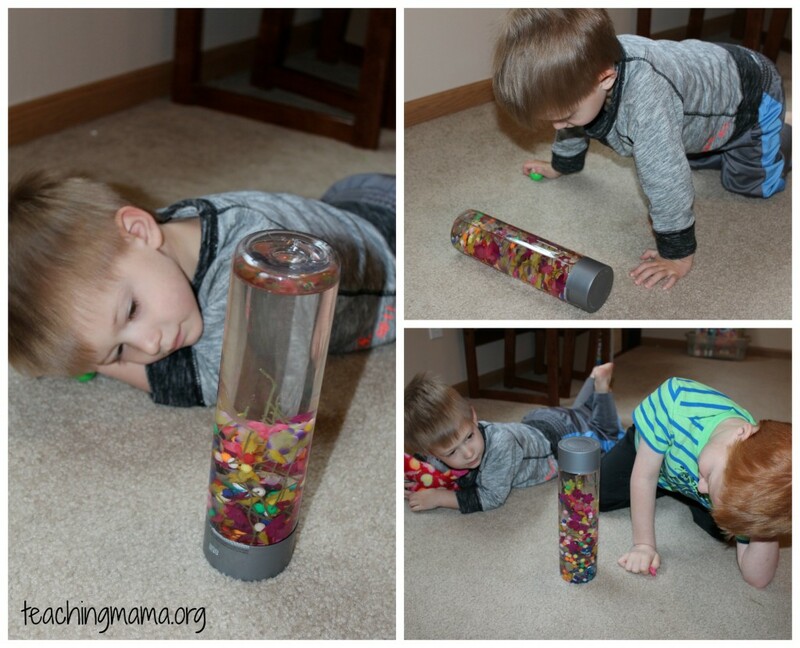 Little ones can shake the bottle to make the objects move around. Then they can discover what’s inside the bottle by using their sense of sight. 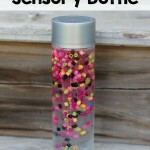 You can even play the game I-Spy with them when you introduce the bottle to them. 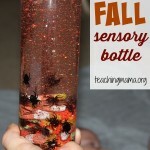 You can see some of our other sensory bottles here and here. 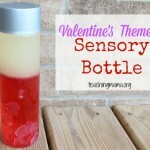 Today, I am sharing how we made a flower sensory bottle. To begin, I had my toddler (2.5 years old) take the flowers off of the stems of artificial flowers. They were easy to pull off and it turned out to be good fine motor practice. I also cut some flowers off with the stem attached. 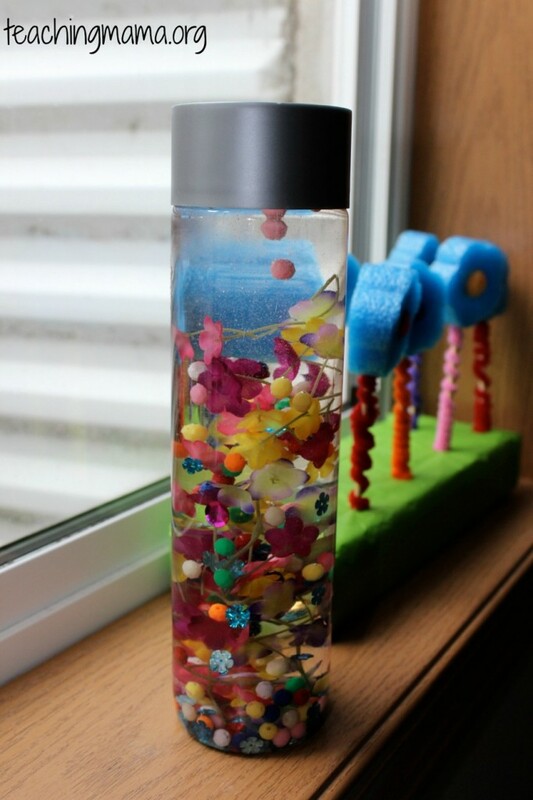 I thought about using real flowers, but I wasn’t sure how long they would last in the bottle. 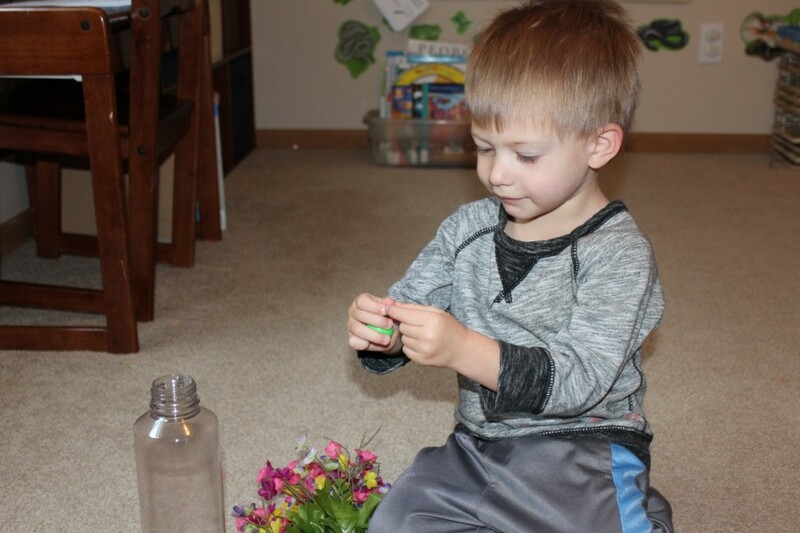 I love how this blogger used dandelions to create this beautiful flower sensory bottle. Then I let him add in beads, confetti, and glitter. Since my toddler is old enough to handle this material, I let him make the bottle. 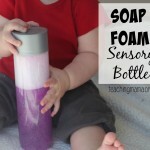 If your little one is too small, please make the bottle for them. 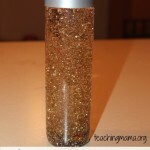 After adding items to the bottle, we filled the bottle with water and glued on the lid. Both boys enjoyed looking at it and watching the various items float around. We had a great discussion about which material floats or sinks. 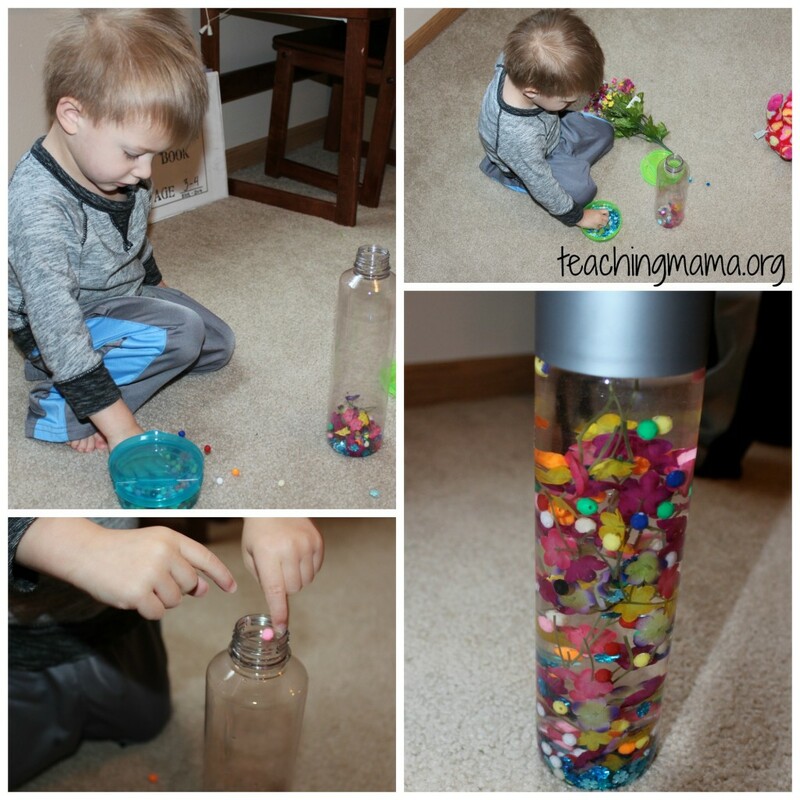 My preschooler also made a bottle (not pictured) and he added all sorts of things in his bottle to see if they would float or sink.